Throughout the US, communities are reevaluating their approach to how they handle stormwater in urban environments. The escalating capital and operating costs of conventional stormwater systems have driven this interest as much as community desires for protected natural resources and increased regulatory scrutiny. The bi-state Kansas City metro area recently completed a major revision to their engineering design standards. The new standards addressed both urban water quality and quantity. This included an urban Best Management Practice (BMP) manual. It addressed both structural and non-structural methods of stormwater treatment as well as how to incorporate rigorous design standards when managing stormwater in the urban area. 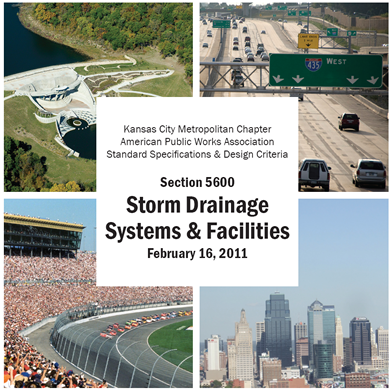 Working with city and county stormwater engineers representing over a dozen jurisdictions, Intuition & Logic developed an entirely new section of the standards addressing natural stream systems. While oriented for the civil designer, the standards are thoroughly grounded in geomorphology and account for the dynamic equilibrium that is the defining characteristic of natural streams. Now for the first time, regional design standards specifically focus on the protection of natural streams. Design standards address sediment transport continuity, energy dissipation, grade stabilization, stream setbacks and pipeline, bridge and culvert crossings. In collaboration with teammates Black & Veatch and Tetra Tech, Inc., Intuition & Logic continues to teach the new standards to approximately 300 stormwater engineers throughout the region.